The software of your Nokia handset also requires updates, which you can now be easily installed thanks to the official Nokia Software Updater utility. Upgrade your mobile phone's operating system to get new features, fix bugs and solve any other errors. Application to update Nokia mobile phones. Check the official repositories for any new important updates that may need to be installed. Automatically detects your handset's model number. Updating is easy. All you have to do is connect your phone to a computer with a USB cable. Nokia Software Updater will then check for updates and install them on your phone. But, don't forget to backup all your data before updating. Download Nokia Software Updater now free of charge and bring your Nokia mobile phone software up to date from your PC. 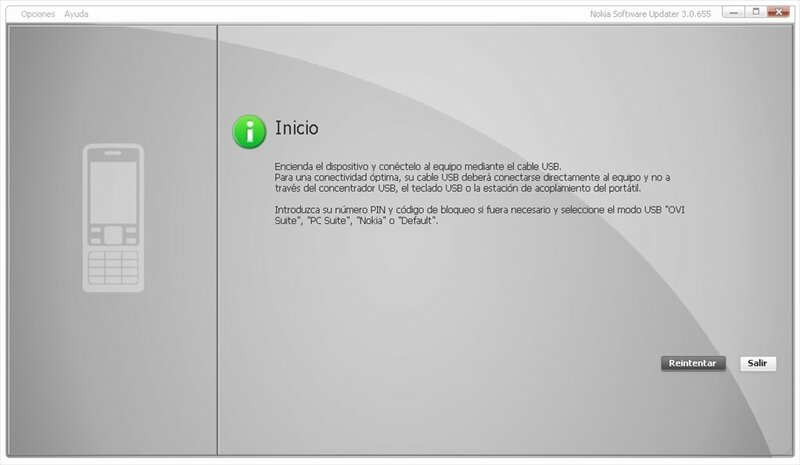 To install the latest version of the software an internet connection is required.